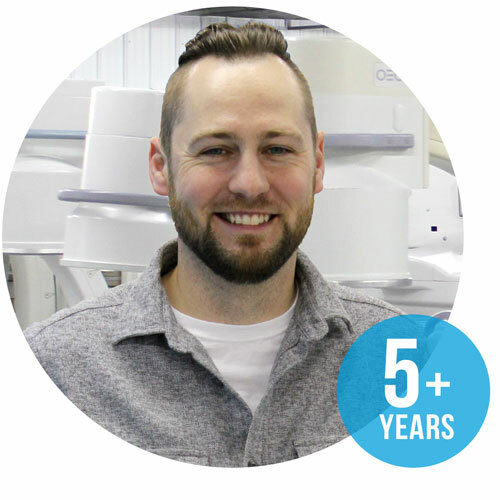 My name is Brandon Brooks, and I work as part of the Engineering team at Block Imaging. Specifically, I operate as an Imaging Engineer for C-Arms. If you grew up in the United States in a decade preceding the early 1990’s like me, you likely remember the old game and song, “One of these things is not like the others…” or “What Happens Next?” that ends with something about a “ding-dong bell.” As I continue to introduce myself- keep those songs in mind! To those of you whom are not familiar with these games/songs written for children, or perhaps instead merely wish to avoid re-living “magical” childhood moments as an adult (which often leave a nagging tune grinding in your head- I’m sorry, it’s probably too late for that at this point)—I pray I haven’t lost your attention!!! Some words that best describe me are: Tinker, Shepard, Minstrel, Hunter, Farmer, and Brewer. I loved those games!...So, what now? Hmm...Is something in the list different, the same, not the same - wait ding-dong bell what? Is there some point or final conclusion to all of this!? That is, beyond a premise for a terrible, horrible, joke set in the Middle Ages...? If nothing else, you may be wondering: “How do C-Arms Fit into all of this? -Tinker: Details, Fix, Measure, Tools, Guitars, Vehicles, Mowers, Home Projects, Learn, Understand. -Shepard: Caretaker, Flock, Deliberate, Spiritual Leader, Community, Humble, Protector, Family. -Minstrel: Guitar, Sing, Compose, Community, Reflective, Cross-Culture, History, Stories, Faith, Worship. -Hunter: Outdoors, Deer, Critters, Dogs, Persistence, Plaid/Boots/Hats, Food, Family, Life & Death. -Farmer: Outdoors, Vegetables, Bacon, Tractors, Barn Cats, Plaid/Boots/Hats, Food, Family, Hard Work. -Brewer: Coffee, Ale, Lager, Details, Calculated, Science, Create, Community, Joy and Pleasure. Although I am a green-thumbed outdoorsmen who loves tasty beverages and animals (snuggling or feasting); more importantly, I have a passion for knowledge and learning, an appreciation for details, hard work, and finding creative yet intentional ways of doing things. Furthermore, above all else: I am a devoted person who loves and cares about others; namely, my family, and communities both near and far. At Block Imaging, caring about others is pinnacle to our mission and why we say, “People Matter”. Every C-Arm I can excellently help recondition directly impacts people and families all over the world. So, why didn’t I just put my last few sentences at the beginning and say, “Good Day”? Because then you would have only met the dude who appears “…kind of the same…” (more game/song lyrics). Instead, I hope this “ding dong” (dumb) introduction was only half as boring as it might have been with 5 sentences and 6 or 7 bullet points. Started Drinking Coffee when I was 7 years old; no stranger to Hot Teas either. Soda (or “pop” as we call it in the Mitten): Vernors Ginger Ale – only the best! Meat: Venison, Bacon, Roasts, Steaks, Rabbit, Brats/Sausage…did I mention Bacon? Candy: Snickers, Bit-o-Honeys, and Dark Chocolate. Micro-Brew Lover: So many good Stouts and IPAs in the state of Michigan. I also brew my own. Married for 10+ years, and have 3 kids: Pyper, Isaiah, and Norah. Nicknames from friends: Brando, BIB, Duke, Old Man/Grandpa, and HipsterBilly. I own 1 dog now: Chloe the Basset Hound. My Beagle Rocky is in doggy heaven now. Shhh - don't tell Chloe that Beagles are still my favorite! All Dogs- but Beagles are the BEST! I challenge anyone to resist those soft, floppy, brown ears!!! Favorite Place to be: In God’s Creation- whether in a quiet Tree Stand, or remote rustic camping. Amidst various vegetables and herbs, I grow my own popcorn kernels for a favorite snack. Worship Leader in a diverse band with influences of Rock, Hip-Hop, Spoken Word, and Acoustic. Movies/Actor: JOHN WAYNE. Own 80+ of his movies; over 10 mugs, modest décor, bobble head. My riding lawn mower went up in flames; but it runs great again!! !